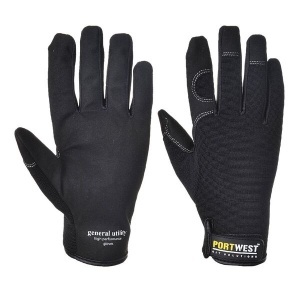 For a general, all round glove that performs well in any scenario, the Portwest General Utility Black Gloves A700BK should be a number one choice. 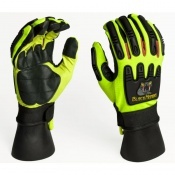 They feature synthetic leather that provides exceptional comfort, elastane that ensures high dexterity, and strong mechanical protection, making the gloves suitable for industries that range from construction and maintenance to general handling and packaging. Designed for multi-purpose use, the Portwest Utility Gloves are suitable across a wide range of industries. 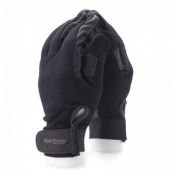 While they do offer flexibility and use in a variety of conditions, their lightweight, hugging and strong design ensures that they continue to provide protection in whatever environment that they are in.